Tags: Antique Map, Asia, Ceylon, India, Sri Lanka. Antique Map Ceylon by Tallis titled ‘Ceylon’. 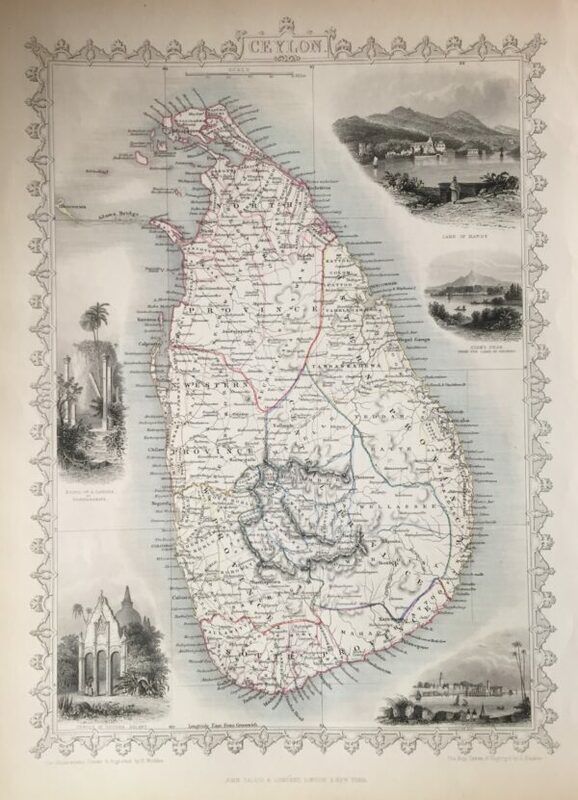 Finely engraved mid 19th century map of Ceylon, which was drawn and engraved by John Rapkin (H. Warren & J. Rogers) and published in John Tallis & co.’s The Illustrated Atlas (London & New York: c.1851). This is an earlier version of the Tallis map (possibly proof) which is without the vignette of ‘Circular Head’ and has a different view of Hobart.